After a bit of a disaster and not losing any weight last week this week I got back on plan and have had a much better week. 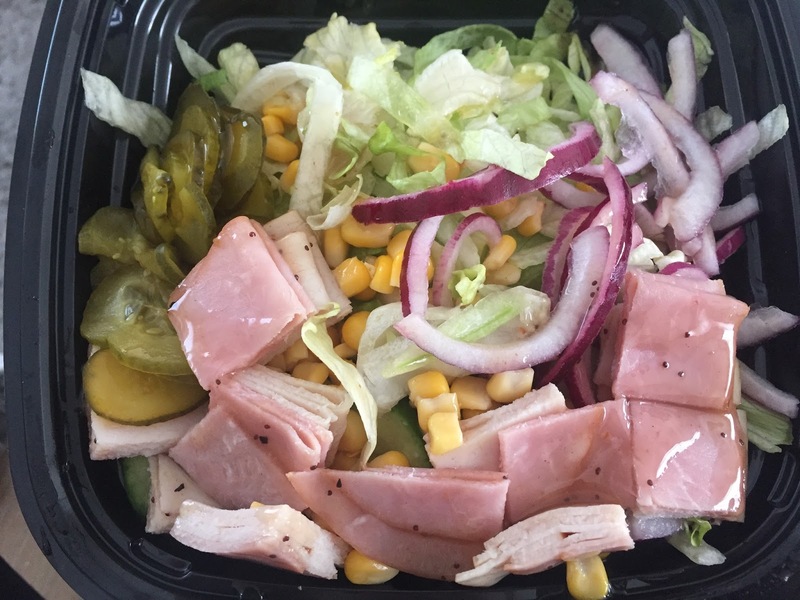 It was half-term and I did have a bit of a cheat pub meal out with my family, although I did skip dessert and ordered something a little bit healthy, chicken skewers with salad and chips - whoops! I also may have eaten a few pancakes with Nutella on pancake day too but apart from that all of my meals have been on plan this week. Breakfast this week has mainly been Weetabix (healthy extra b) with semi skimmed milk from my allowance, topped with fruit and sweetener. A couple of mornings I did just have fruit and a Mullerlight. As it was half-term and the children were off school I have just been grabbing things that were quick and easy for lunch this week. I have had spaghetti hoops on toast, ham salad with fruit, bacon sandwich, subway salads and jacket potatoes with beans. Big mac in a bowl with airfryer chips, salad and pickles (3.5 syns for cheese slice & 2 syns for thousand island dressing). 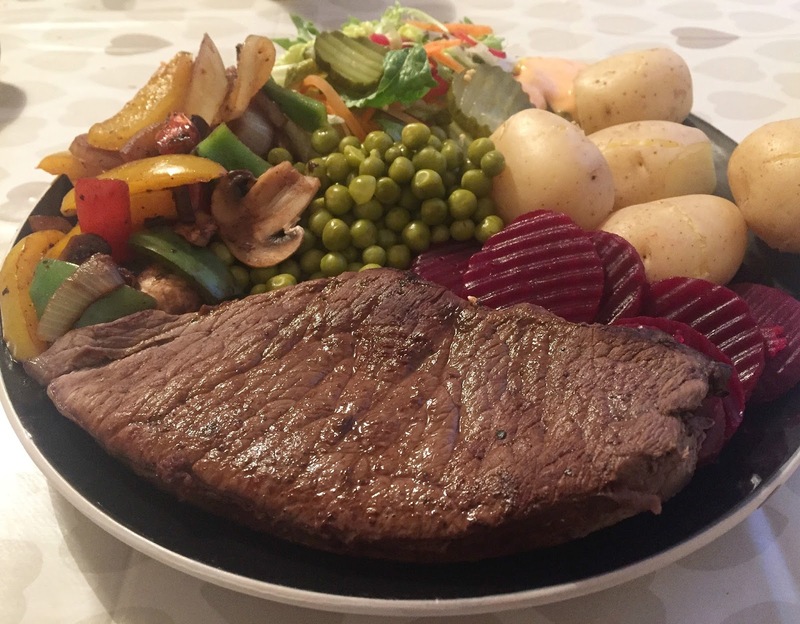 Steak, new potatoes, salad, mushrooms, peppers, pickles, beetroot and peas. Slimming World burgers from Iceland with airfryer chips and salad and pickles (3.5 syns for cheese slice and 2 syns for thousand island dressing). Roast pork dinner, with new potatoes, steamed broccoli, cabbage, carrots, mushy peas and 1 small Yorkshire (2.5 syns Yorkshire and 1.5 syns gravy). I have had my usual Mullerlights, crabsticks and fruit. I have had a few packets of quavers as these are lower in syns then normal crisps. Most of my syns have gone on sugar for my coffee's in the morning and sauces for my meals. I lost 2lbs this week and I gained my half-stone award which I was happy about. 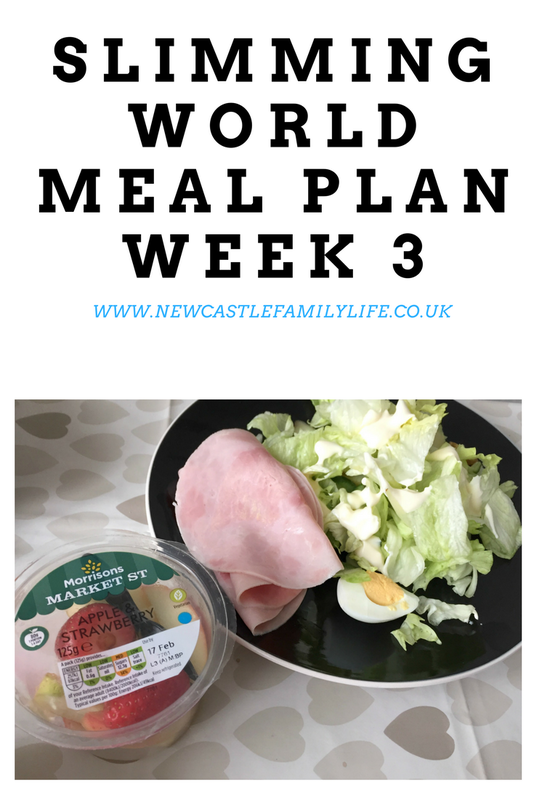 I feel like I am back on track now and losing weight this week has given me a boost and made me determined to stick to the plan fully this week. I also bought a new recipe book from group for about a fiver so I will be trying some new recipes from that this week too. If you have a favourite Slimming World recipe let me know in the comments below as I am always looking for new meals to make.